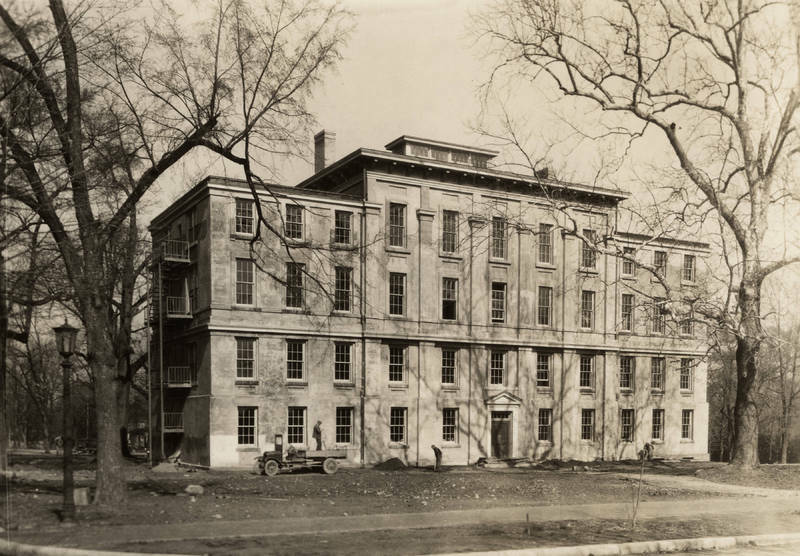 By the late 1850s, enrollment increases made new residence halls necessary. 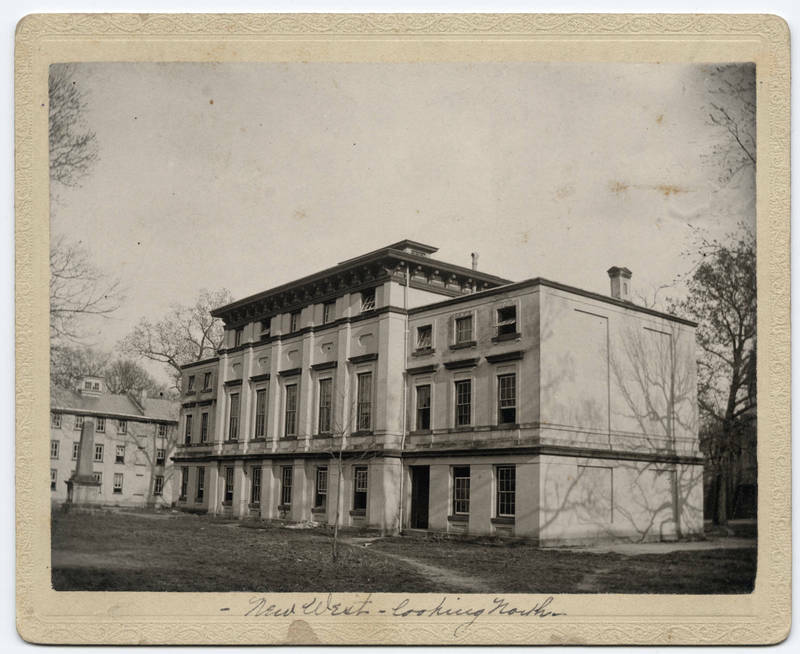 The university hired Raleigh architect William Percival to design New East and New West buildings, which were placed perpendicular to their counterparts, Old East and Old West. Because the campus slopes down from west to east at these sites, Percival put an extra story on New East to keep it level and balanced with New West. Like Davis, Percival borrowed concepts from the past, creating rectangular, multi-story structures with flat roofs in the manner of the Italian Renaissance. He copied the lanterns from Old East and Old West and made them the central feature of the rooflines. Dark cornices bind each of the three-part buildings together. The entire exterior is brick with a stucco finish that is painted beige. Six stylized Doric pilasters (the most minimal of the classical Greek styles) appear on the façades.